Since heavyweight kingpin Tyson Fury has been declared “medically unfit” by a doctor to engage in a rematch with Wladimir Klitschko, the man he won the championship from, there’s been a large amount of talk and finger pointing going around the fight world. Indeed, the rematch has been postponed several times already and Klitschko is thoroughly tired of waiting. Fans, too, want to see movement at the heavyweight division. How long, for instance, will Fury be out of commission for? Indefinitely? What of Fury’s titles? Will he be allowed to keep them, at least for a time? These are things fans have a right to know about. Yet something even more concerning is afoot in regards to Fury’s exit. Sure enough, word is out (unofficially) that Fury is suffering from some severe emotional issues which are no laughing matter. While it’s true the man has offended many, the reactionary PC crowd arguably luxuriates in making life hell for those it ironically finds insensitive…in other words, people like Fury. Unsurprisingly, Fury’s trainer and uncle, Peter, seems to point the finger at that hyperbolic social element as the source of his nephew’s problems. Whether the trainer is engaging of a bit of hyperbole, himself however, remains to be seen. Surely, none of this, if true, can be easy on the Fury family. Boxing, though, waits for no one fighter, and clarity is going to be needed sooner rather than later. After Fury’s stunning victory over Klitschko late last year, it appeared that the heavyweight division was in an exciting place. Besides Fury, there was the colorful Deontay Wilder on the horizon. There was also the explosiveness of Anthony Joshua , the superb skill of Luis Ortiz and the promise of Joseph Parker. In other words, the heavyweight division was on fire for the first time in ages. The Fury-Klitschko rematch, which was to take place in Britain, was the one to watch, though. And now it’s postponed yet again. Sure enough, it’s worth wondering now if the fight well ever happen at all. What seemed so promising not so long ago at the heavyweight division sadly now seems like too much boxing as usual. Also, say what one will about Fury, he’s a colorful character who has the ability to draw a lot of attention to the sport. Love him or hate him, the man’s not yawn worthy. Klitschko, on the other hand, is a true sportsman and gentlemen who doesn’t generate a lot of buzz. Without Fury, some of the heat is invariably out of the heavyweight division. 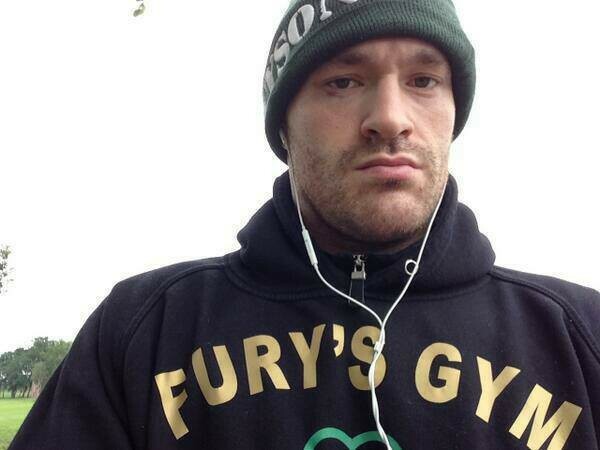 At the least, all should wish Fury well should the rumor about his mental health prove true. Even those who can be unsympathetic deserve sympathy at times. And while the man’s mouth, along with reports of drinking and doping, do his reputation no favors, no one should want to see the guy suffer – especially in light of the fact that he has a young family to help tend to. Everybody should also wish for clarity in boxing’s biggest division. The sport clearly deserves it.